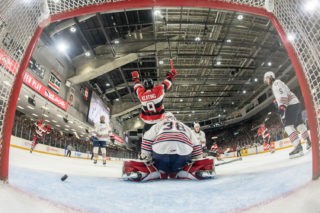 Toronto, ON – The Ontario Hockey League today announced that New Jersey Devils prospect Mackenzie Blackwood of the Barrie Colts is the Pioneer Energy OHL Player of the Week for the playoff week ending April 17 after posting a 3-0-0-0 record including one shutout with a goals-against-average of 1.31 and save percentage of .956. 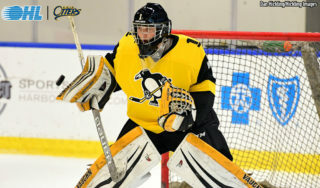 Blackwood backstopped the Colts to a 4-0 series victory over the North Bay Battalion in the Eastern Conference Semi-Finals stopping 87 shots in three games last week. He made 34 saves in Game 2 last Monday night helping the Colts emerge with a 3-2 overtime decision, then made 24 saves on Tuesday as part of a 4-2 victory in Game 3 of the series. 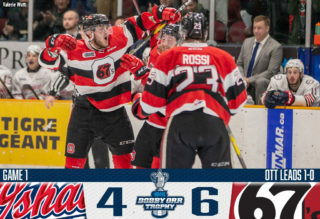 On Thursday night in Game 4 he earned his second career playoff shutout with 29 saves in the 6-0 win advancing the Colts to the Eastern Conference Championship Series where they will face the Niagara IceDogs for the Bobby Orr Trophy. A 19-year-old from Thunder Bay, ON, Blackwood is playing in his third career OHL season with the Colts. Originally a fifth round pick by the team in the 2012 OHL Priority Selection, Blackwood has played in 139 career regular season games with an additional 28 games of post-season experience. This season the second round pick of the Devils in the 2015 NHL Draft posted a 28-13-0-0 record with three shutouts along with a 2.72 goals-against-average and .921 save percentage. His playoff numbers thus far include a 6-1-0-0 record with a 2.26 goals-against-average and the league’s best save percentage with a mark of .924. Watch video highlights of Blackwood and the Colts in Game 2, Game 3, and Game 4, against the Battalion. 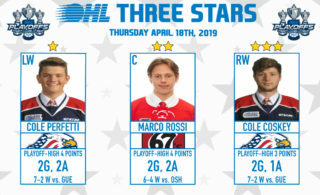 Also considered for the award this week was fellow Colt Kevin Labanc, a San Jose Sharks prospect, who scored twice with five assists for seven points in three games against the Battalion. 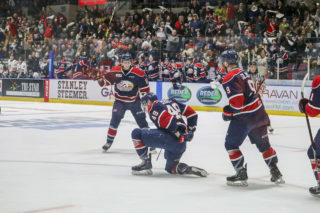 In the Western Conference, Arizona Coyotes prospect Dylan Strome of the Erie Otters scored four goals and two assists for six points in three games against the Sault Ste. 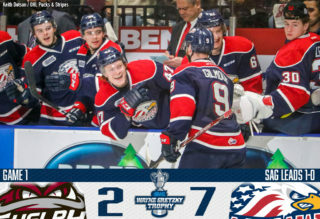 Marie Greyhounds, while Toronto Maple Leafs prospect Mitch Marner of the London Knights scored three goals and two assists for five points in two games eliminating the Kitchener Rangers.